Valiant First! Amazing is in the works! In 2014, when you reach for your weekly comics stack, you’ll be reading VALIANT FIRST! 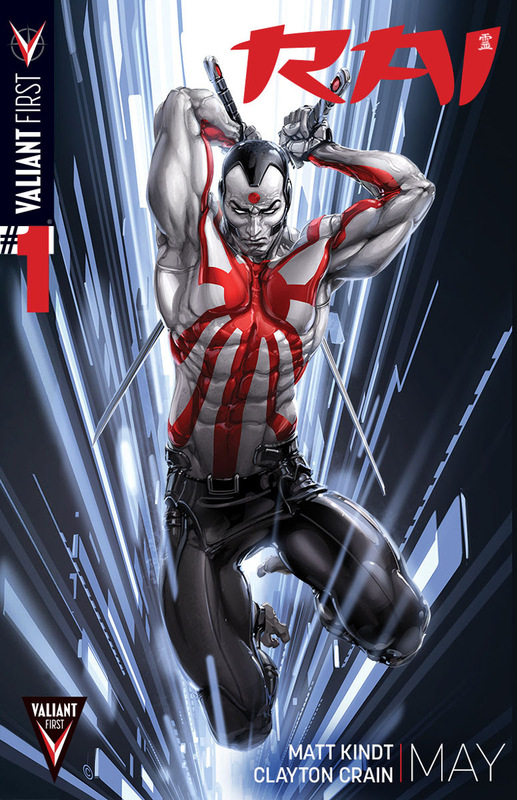 Enter VALIANT FIRST, a brand new publishing initiative primed to unleash a major #1 new series debut monthly throughout 2014, beginning this May with RAI #1 – the FIRST ISSUE of an all-new ongoing series from New York Times best-selling writer Matt Kindt (Mind MGMT) with fully painted interiors by superstar artist Clayton Crain (X-Force)! An astonishing new vision of the future! The year’s biggest, most ambitious crossover event! The worst team-up in history! And an epic tale of love and high adventure! Valiant’s next phase begins this May with VALIANT FIRST! “The VALIANT FIRST line-up was very specifically chosen, and will continue our ‘slow and steady’ approach to growth. 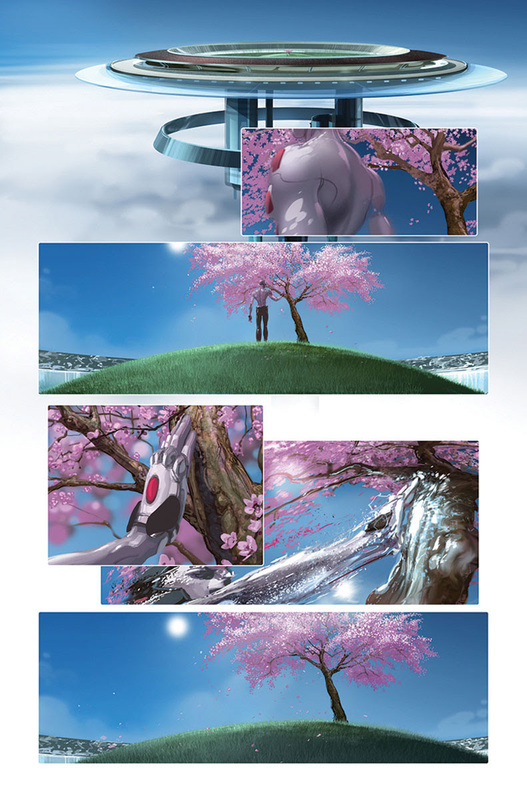 You won’t see Valiant putting out more than nine core titles a month in 2014. We’re focused on quality over quantity, and we’ll be working hard to make sure that every VALIANT FIRST book is as good as anything else in the industry. You only have to look at the first wave of VALIANT FIRST titles to see that commitment – books like RAI #1 and ARMOR HUNTERS #1 are going to state our ambition with a vengeance,” said Valiant Publisher Fred Pierce. Each month, VALIANT FIRST will debut an all-new series by some of the premier storytellers in comics today with new #1 issues featuring Valiant’s biggest, brashest and boldest characters. A VALIANT FIRST ongoing series! 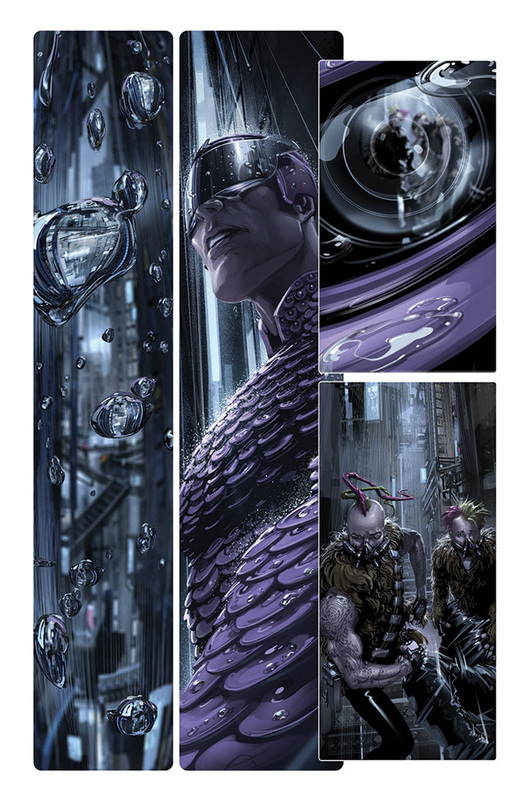 Matt Kindt and Clayton Crain are about to prove that there is nothing else in comics like RAI! A Valiant Universe crossover event! This summer, Earth will be the greatest hunt of all when VALIANT FIRST unleashes the first issue of 2014’s must-read mini-series event! A relentless and surgical strike team from the farthest reaches of space – sworn to exterminate the X-O Manowar armor and all like it – have found finally their last target. They will hunt. They will trap. They will kill. And they will rid the universe of the X-O Manowar’s incalculable destructive power…even if it means taking the Earth with it. 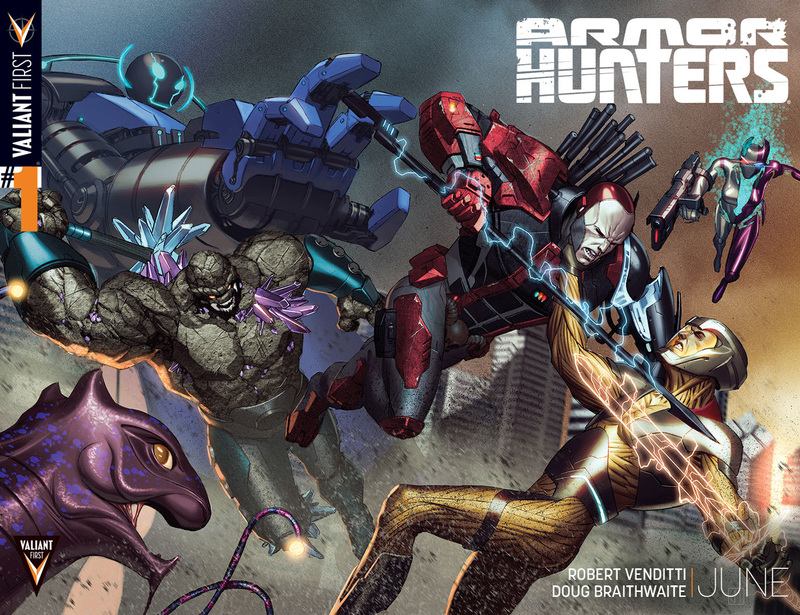 In the tradition of the universe-changing HARBINGER WARS, Valiant’s biggest heroes launch into the summer’s blockbuster 18-issue crossover event right here in ARMOR HUNTERS #1 – and then take the fight to the world’s first full-scale cosmic threat with new arcs of UNITY and X-O MANOWAR beginning in June, and ARMOR HUNTERS: BLOODSHOT and ARMOR HUNTERS: HARBINGER beginning in July! The most dangerous weapon in the Valiant Universe has come in from the cold. 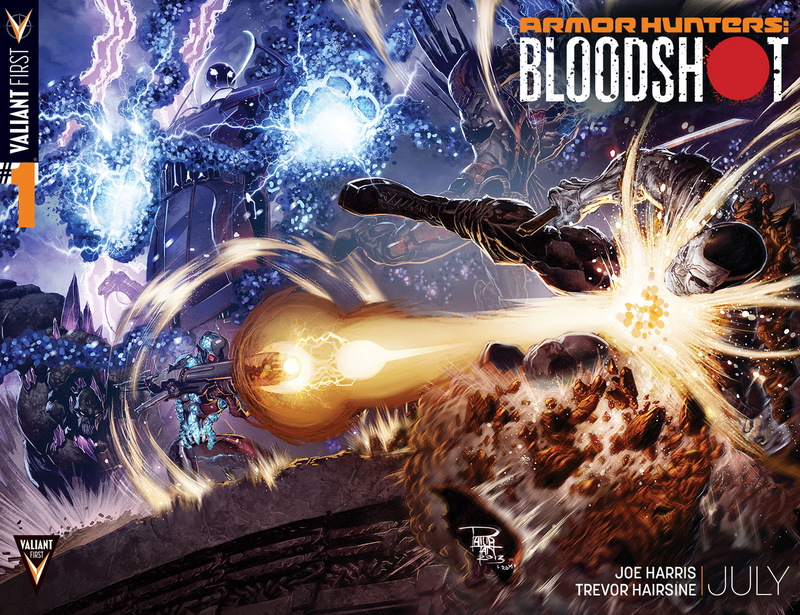 With Earth under siege by the Armor Hunters, Bloodshot is the only thing standing between the destruction of the extraterrestrial intelligence agency known as MERO and the liberation of one of the Armor Hunters’ own. Because you demanded it! 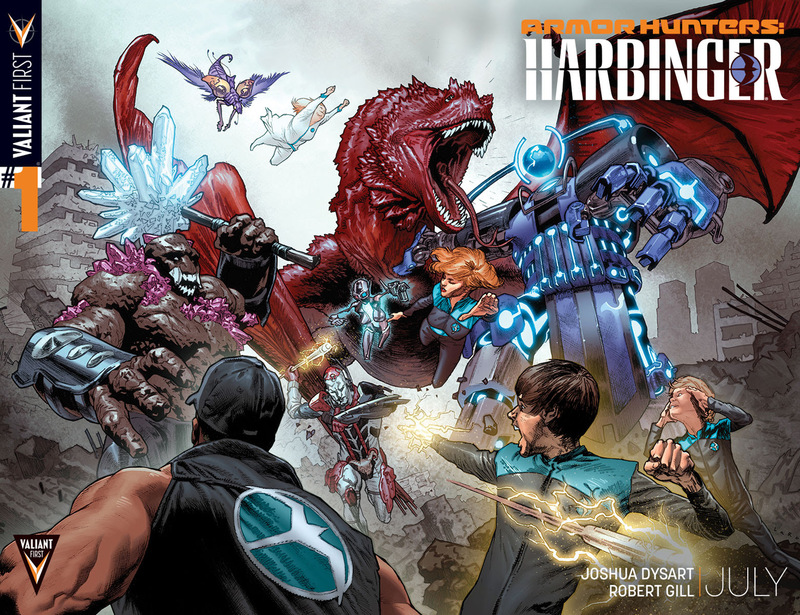 Out of the ashes of Harbinger Wars, the volatile psiot strike force known as Generation Zero step into their very first adventure – and right into the crosshairs of the Armor Hunters! 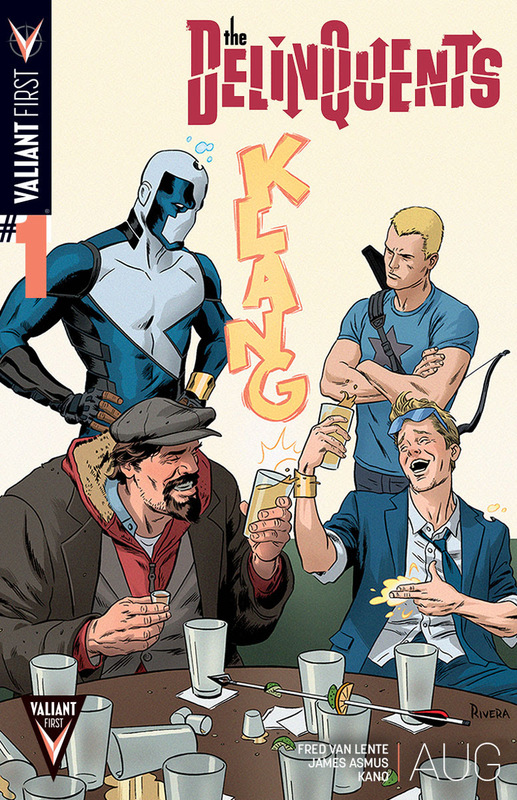 It’s the world’s worst team-up when Archer & Armstrong meet Quantum and Woody! We apologize in advance for what can only be described as a swashbuckling, conspiracy-smashing, partner-trading, goat-fueled race across the USA! 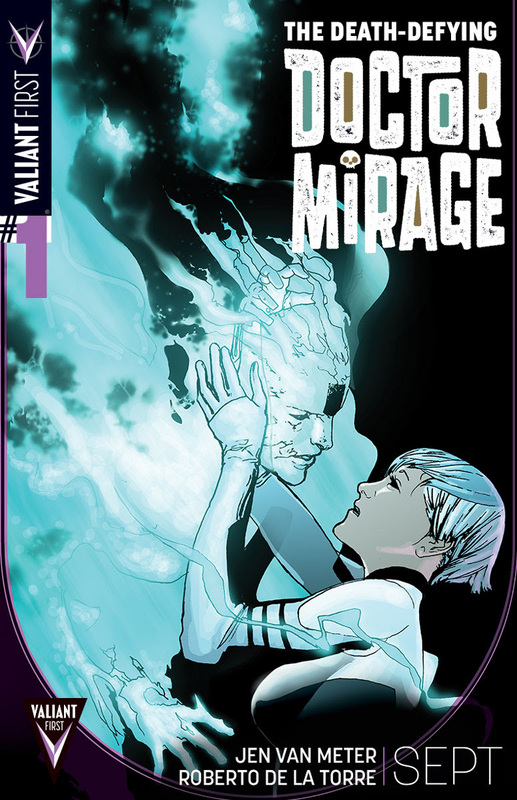 World-renowned parapsychologist Dr. Mirage and her husband Hwen were madly, deeply, stuff-of-legends in love – until the day a tragic accident stole Hwen away. Now, Dr, Mirage will have to use every ounce of her training and talents in the mystic arts to do the one thing Hwen taught her never to do – journey across the realms of Deadside and bring her love back to the land of the living. 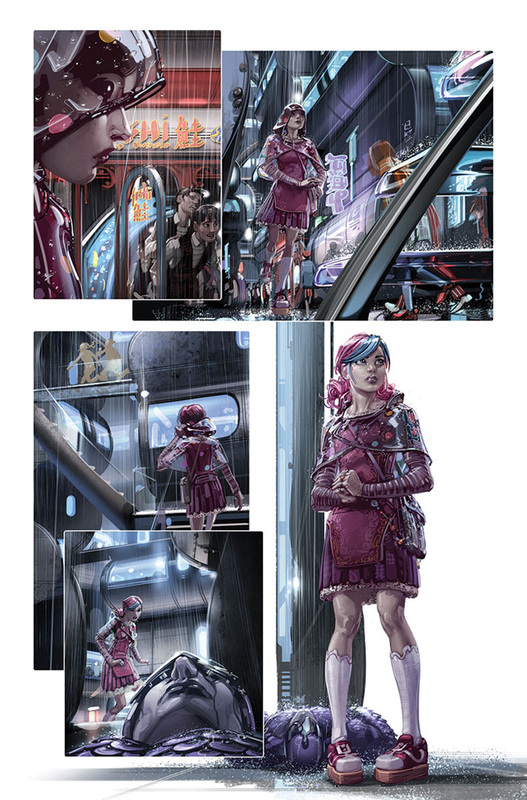 “VALIANT FIRST came out of something fascinating that we’ve heard over and over again from our fans and retail partners. Not only did they tell us that they were now buying Valiant books as ferociously as the mainstays of the industry, but that the books they were most excited for, the books they reached for first were Valiant,” said Valiant CEO and Chief Creative Officer Dinesh Shamdasani. In the coming weeks, Valiant will also be announcing a number of sales incentives and promotional offerings – the largest in Valiant’s history – for comic shops worldwide to coincide with the launch of each VALIANT FIRST title. “Over the next year, we’ll be working one-on-one with retailers to put our books in customer hands, and to generate new fans with each release. Already, we’re planning to introduce an expansive array of sales incentives, returnability offerings, and promotional materials. Look for details to follow as VALIANT FIRST hits the ground running,” said Hunter Gorinson, Valiant’s Director of Marketing, Communications & Digital Media. 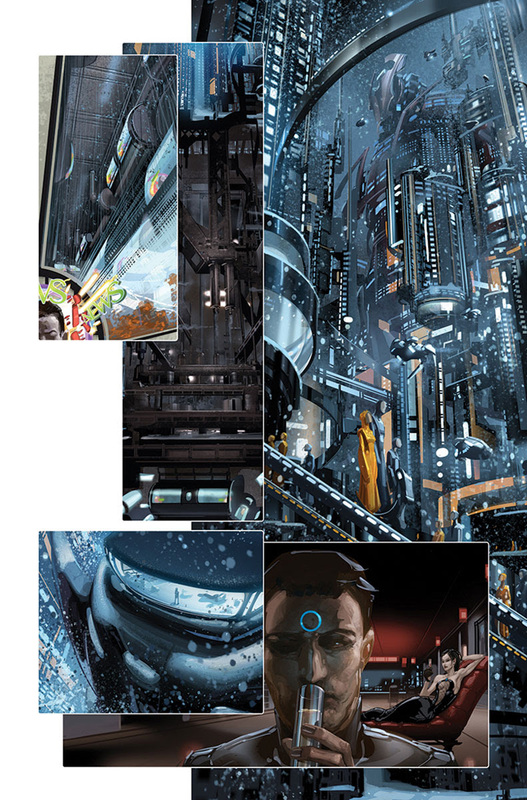 For sneak peeks inside each monumental VALIANT FIRST release, follow VALIANT FIRST on Tumblr at ValiantFirst.tumblr.com for exclusive looks at costume designs, in-process artwork, and more top secret snippets from Valiant HQ! In 2014, when you’re looking for the most exciting books on the stands, look for VALIANT FIRST!